“When I hear music, I fear no danger. "At WKPE,104.7, Music Director and Midday DJ Cat Wilson knew about White...... "You get all these CDs coming across your desk, and you keep hoping for something that has some backbone in it... When I got Eden's, not only did it have backbone, but it had the meat to go with it. This is the fastest I've seen a song catch on from my show. It just exploded." "It's very rare that you get someone like Eden White ad do this well," says Holguin (Virgin Megastore Buyer), "We were blown away by it. I figured she was going to do well, but not as well as she has done. That's why we decided to put the CD in our listening station." BILLBOARD, "With Fair Spot Caps Eden White's Run of Good Luck"
"Take for example, this your Massachusetss woman, Eden White, who's no relation to me. She blows everyone else off the stage wherever she appears." "This Is The Way..." leads it's listeners like rats to the Pied Piper. It's irresistibly catchy, unwavering muically, and undeniably entertaining.... White clearly deserves to be among the likes of Sarah McLachlan, Natalie Merchant and Tracy Bonham. At age 28, White shows the potential to blossom into the type of inspiring songwriter that record labels ought to be fighting over... after seeing her perform, it's a safe bet you probably won't need a music review to convince you to spend your hard-earned dollars to buy "This Is The Way"
"White is an engaging New York newcomer who comes on like alaid-back cross between Shryl Crow and Tori Amos.... Her approach to lyrics is grategully poetic but direct- no self-in.dulgetnt clouds or impenetrable metaphors here... triple-A tastemakers should have a close listen.."
"Q: I hear this summer's Lilith Fair tour features some promising new singers. Is there anyone we should keep a special eye on? A: One is Eden White, 27, a singer-songwriter form Massachusetts who performed at the pre-tour concert in New York on June 2 and at a Lilith Fair concert in July 1998. She has been compared to Tori Amos for her songwriting and strong piano chops." 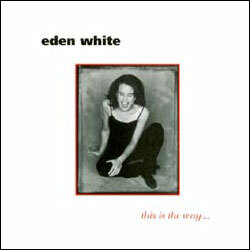 "Eden White and her band lived up to all the advance press. What Eden White may lack in stature, she more than makes up for in talent and personality. She has surrounded herself with a fine group of musicians who offer up the perfect accompaniment. She is a singer/songwriter/musician of the first degree. 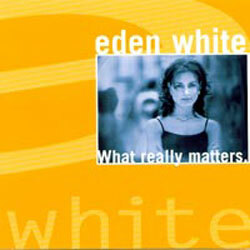 But, above all else, Eden White has been blessed with the voice of 10 and the heart and soul of 20!" 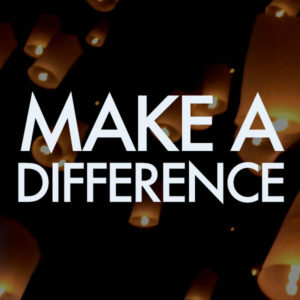 "The Manhattan based pianist and songwriter has been getting rave notices for her recent release, "This Is The Way". And her songs, which evoke the spirit of Tori Amos and Sarah MCLachlan, won her an opening slot on this year's Lilith Fair lineup. White...came to the station's (WLIR/92.7)attention serendipitously. At a Lilith Fair preview in Manhattan's Bryant Park, Morey and Harlan Friedman spotted White and were blown away. The station started playing her, and now it's giving Friday night to her alone." 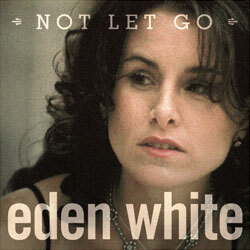 Eden White is a living tornado of positive energy and brilliant musical talent. You haven't lived until you've seen (and heard) her pound out one of her songs on a piano. Or you just think you've lived. So go listen. Eden is the real deal.